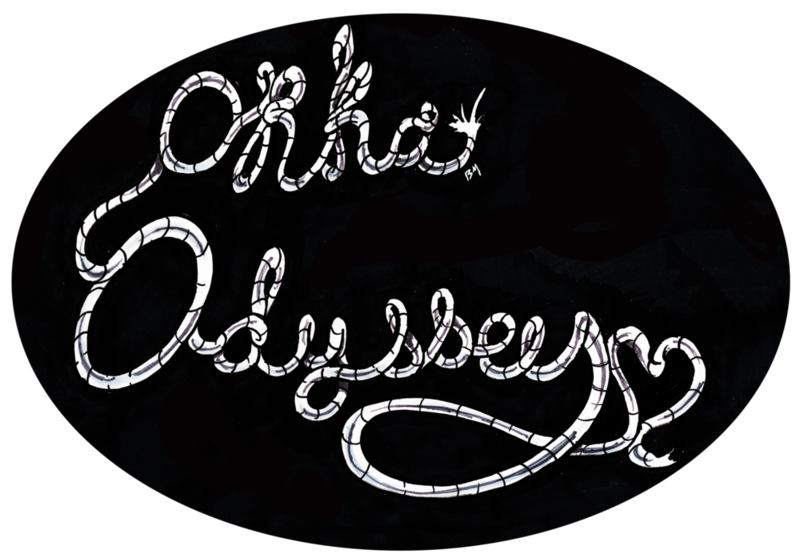 If I could make a musical mood board with the title “Sci-Fi and Synth,” Orka Odyssey would be at the very center. Denver's Psychedelic Synth-Pop group is influenced by cetaceans, nostalgic childhood memories, spirituality, and 80's films. Their tropical songs depict otherworldly experiences and recount stories with mystical wildlife they have encountered on trips. OrKa Odyssey released their latest album, "The Legend of the Golden Dolphin," on July 1st. "The LP transcends reality when you take the time to listen to it all the way through in order, the tracks flow from one another and the energy isn't interrupted throughout the course of the project." "Music is in my blood. My dad is a fantastic bass player and he toured nationally throughout the early 70's and early 80's, so basically I was turned onto classic rock straight out of the womb." "Mixed by frontman Kyle Malone, Nommo is a rich album full of decadent production and an abundance of tunes. With 18 tracks and clocking it at almost and hour and fifteen minutes, Nommo is a sprawling musical opus that at once feels like a greatest hits album as well as a concept piece."